Be sure to watch these shows on TV tonight: Rhythm City eTV (DSTV channel 194) Victoria attacks Lucilla and confronts her about the Miles situation. Khamo approaches Mamokete for help to get her stolen property back. Doc feels the heat when Solomon wants to move some money around. 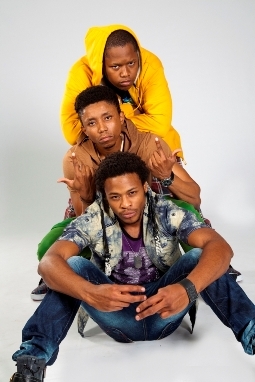 The show follows the lives of SA hip hop stars as they balance fatherhood and their superstar rap careers. La La's Full Court Life Vuzu (DSTV channel 116) 19:00 How to Succeed in Business. Things are changing in a major way for La La and her friends. Po is experiencing 'creative differences' with the new label. Dice has a new extreme look that takes everyone by surprise. Scandal eTV (DSTV channel 194) 19:30 Dintle manages to scam someone at NFH and Layla does something illegal which could compromise the same person. Lindiwe tells a lie to prevent a problem for herself at school. Scelo is asked to do the one thing he has been longing for more than anything. Tempy Pushas (new season) SABC 1 (DSTV channel 191) 20:30 Pitting two giant fashion houses and two families against each other. Greed, revenge and buried pasts unfold as multimillion-rand fashion market lays waiting for the taking. Muvhango SABC 2 (DSTV channel 192) 21:00 Busi freaks out when she finds something on her Professor’s laptop. Muvhango learns of a plot to send him away. Thuli and Thandaza discuss how amazing it would be to find their lost family member.